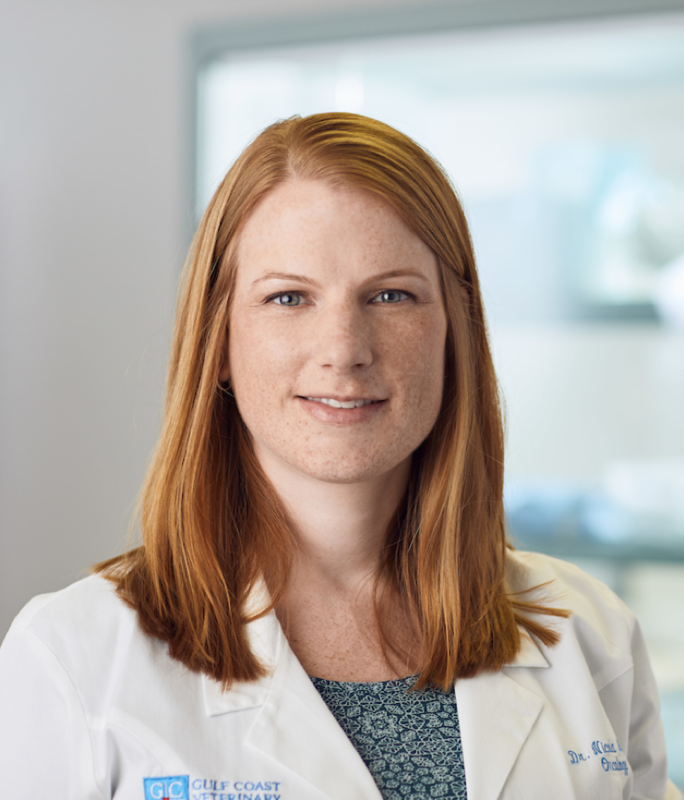 Dr. Nicola Wilson was born in Canada and graduated from the Western College of Veterinary Medicine in Saskatchewan in 2006. She then completed an internship at Oklahoma State University the following year. In 2010, she completed her residency in internal medicine here at Gulf Coast Veterinary Specialists. After leaving Gulf Coast, Dr. Wilson was awarded The Fred and Vola Palmer Fellowship, allowing her to complete a second residency in veterinary oncology. Dr. Wilson’s medical interests include lymphoma, translational medicine, and the multi-modal approach to cancer therapy as a means of improving patient survival while minimizing negative side effects. Dr. Wilson enjoys spending time outdoors with her husband Kevin and two dogs, Annie and Trigger. Dr. Wilson and associate staff have been outstanding during the diagnosis and care of our dog. Dr. Wilson's extra care in explaining procedures were outstanding. She clearly is one of the best vets we have worked with. GCVS remains the ultimate solution for referral situations of our dogs. Simply the best!